70 years ago, The Partition came into effect, dividing British India into two new, independent countries: India and Pakistan. The separation based on border lines created by the British at the end of their colonial rule came into effect at the stroke of midnight on the eve of Aug 14, 1947. In the days, weeks and months following Partition, 15 million Muslims, Hindus and Sikhs, fearing discrimination, swapped countries in an upheaval that cost more than a million lives. 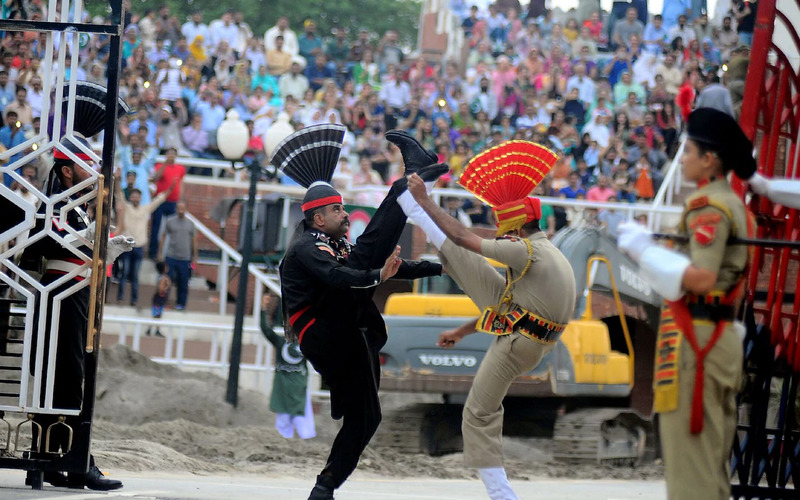 India and Pakistan have fought three wars since 1947, and relations remain tense, particularly when it comes to Kashmir, which both claim in full but rule in parts. According to authorities, more than 300 people were killed and many were trapped under tonnes of mud as they slept. The Red Cross has estimated that 600 people were still missing and it was struggling to bring enough equipment to the site to excavate those buried deeply in the mud. The UK and Israel said they were sending aid, including clean water, medicines and blankets, as quickly as possible. The government has promised relief to the more than 3,000 people left homeless, opening an emergency response center in Regent and four registration centers. The government says it will propose an “innovative and untested approach” to customs checks as part of its Brexit negotiations. The model, one of two being put forward in a newly-published paper, would mean no customs checks at UK-EU borders. The UK has already said it will leave the customs union – the EU’s tariff-free trading area – after Brexit, and businesses have been calling for clarity on what the replacement system will involve. The UK would continue to operate its own checks on goods coming from outside the EU. More than 200 patients in England have been infected or contaminated with a drug-resistant fungus first found in Japan. Candida auris or Japanese Fungus belongs to a family of fungi or yeasts that live on the skin and inside the human body. Health officials have confirmed that hospitals are on the lookout for further cases and are putting in place measures to help control any further spread of the fungus known as Candida auris. Public Health England says in some cases patients will have no symptoms, but the infection can cause serious bloodstream and wound infections. So far, no fatalities have been reported. Millions of rail passengers will have to pay up to 3.6% more for their train tickets from next January, following the release of the latest inflation figures. The current version of the fares system lets so-called regulated fares rise by the annual rate of inflation, as measured each July by the Retail Prices Index (RPI). The government must agree to the rise being implemented. It will not come in automatically. But assuming the government gives its blessing, the increases will affect fares from 1 January next year. The train companies do not in fact have to implement the increase if they do not want to. It is a ceiling.